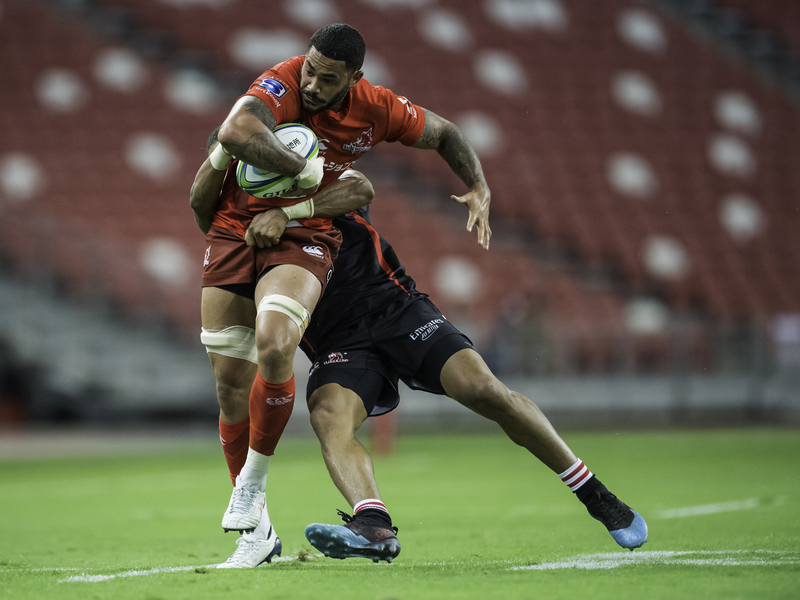 Last evening, in the second match of their Super Rugby 2019 campaign, the the HITO-Communications SUNWOLVES returned to Singapore’s National Stadium to put up a strong fight against the Lions, but were eventually downed in the second half in spite of their efforts. 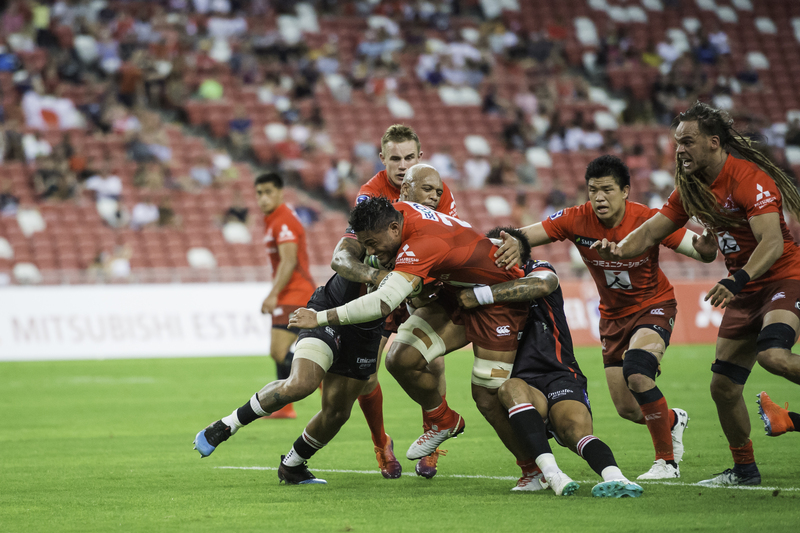 In the first half of the match, the Sunwolves took an early lead with a penalty in spite of being denied a try opportunity by the TMO in the 4th minute. The Lions faced a similar situation with the TMO in the 9th minute despite a powerful driving maul that led them across the line. Undeterred, the Lions learnt from their mistake a little after the 12th minute as captain Malcom Marx crossed over to equalise. The next 10 minutes saw the teams engage in fairly cautious play styles, but as the countdown continued, it was the calmer Lions team taking advantage five minutes before half-time when Marx crossed the line again. 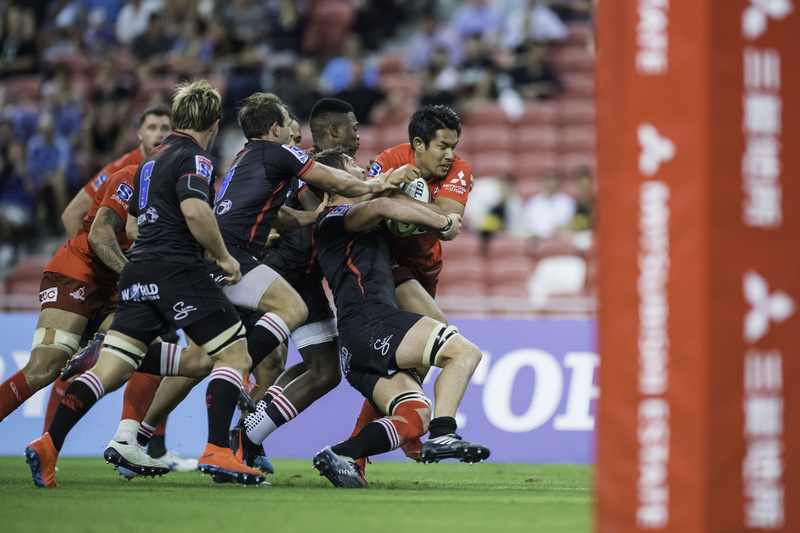 Although the Lions failed to convert this time, Marx’s two tries out of two opportunities brought the score to Sunwolves 7, Lions 12 at half-time. The second half again started strong for teh Sunwolves, with Hayden Parker converting a penalty to close the gap between them and the Lions, but was quickly countered by Lions scrumhalf Nic Groom as he darted through the Sunwolves’ defences to cross the line and extend the lead to Lions 17 Sunwolves 10. 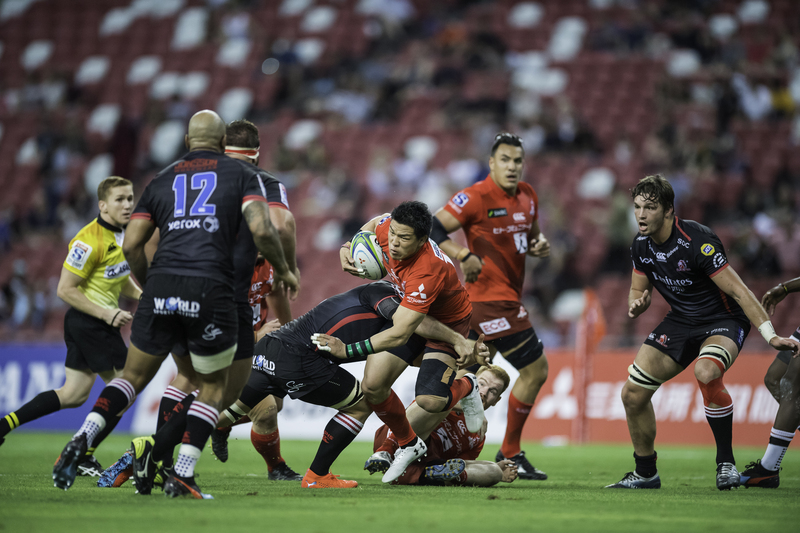 Growing ever more confident, the Lions continued a brilliant display with beautiful one-two passing from the 10m line, flowing through the Sunwolves’ defences with Lionel Mapoe touching down. 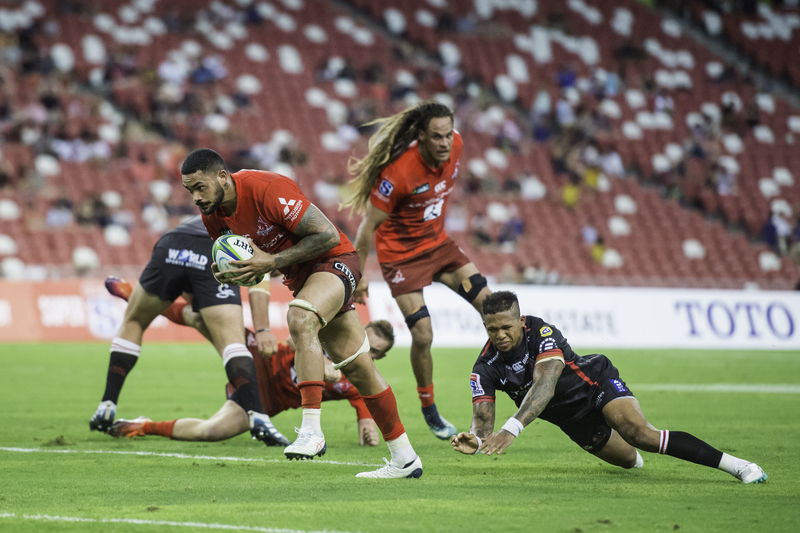 Not to be discouraged, the Sunwolves refreshed their team with substitutes that led to Rahboni Warren Vosayaco scoring a try. 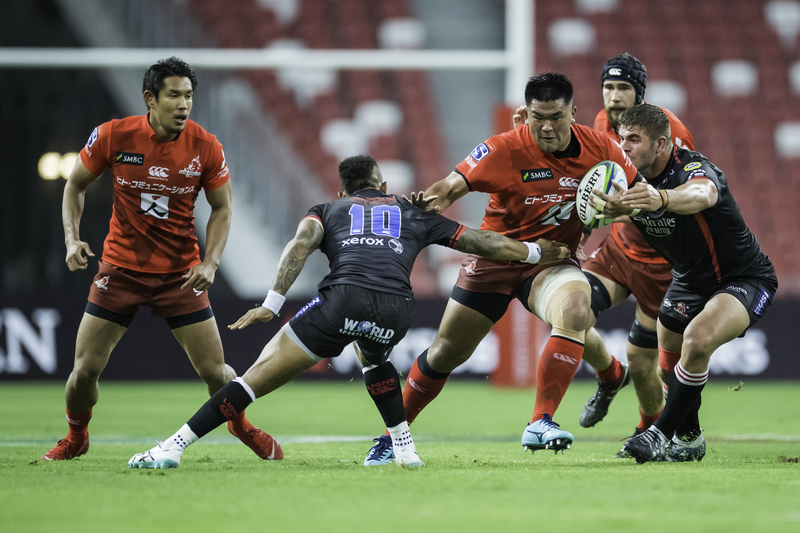 The conversion was made by Hayden Parker and Sunwolves brought their score up to 17 against Lions 29 in the 63rd minute. 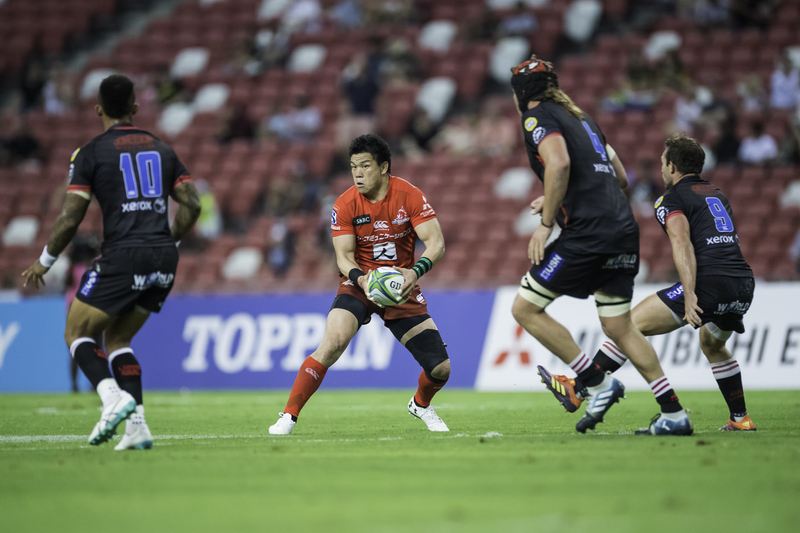 The burst of energy was simply not enough for the Sunwolves as the Lions ultimately overpowered them to extend the lead to a full-time score of Sunwolves 24, Lions 37, a good match and good display from both teams as the crowd cheered on.